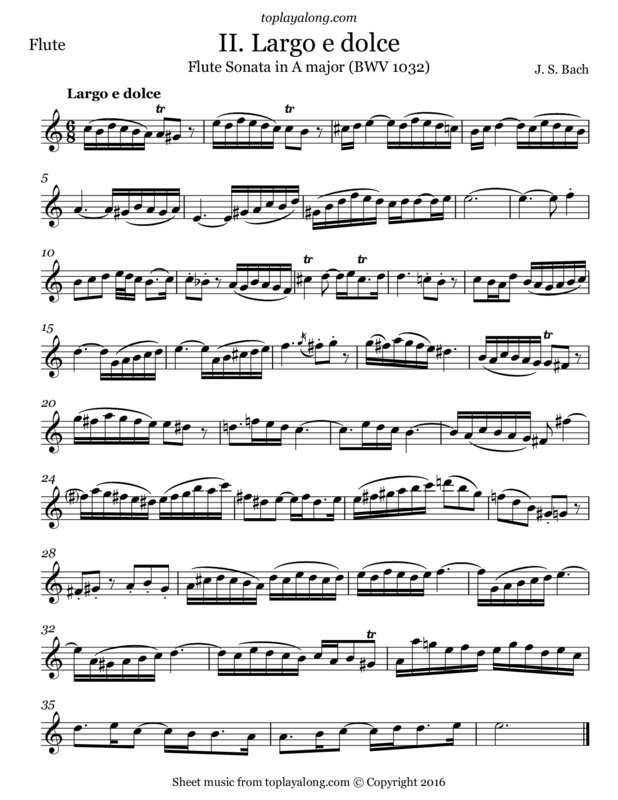 Second movement (Largo e dolce) of Sonata in A major for flute or recorder and harpsichord by J. S. Bach (BWV 1032), total of 3 movements. Also called Flute Sonata No. 3.